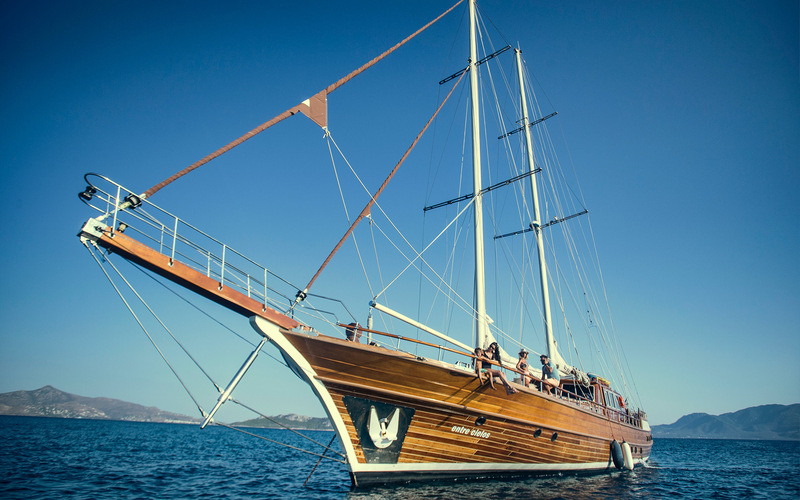 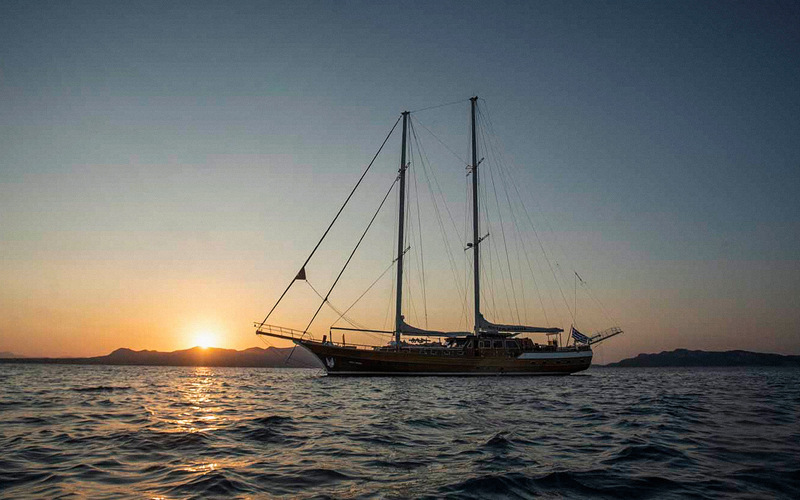 ENTRE CIELOS is a fantastic traditional gullet built in Turkey by Su Marine Yachts and launched in 2004. 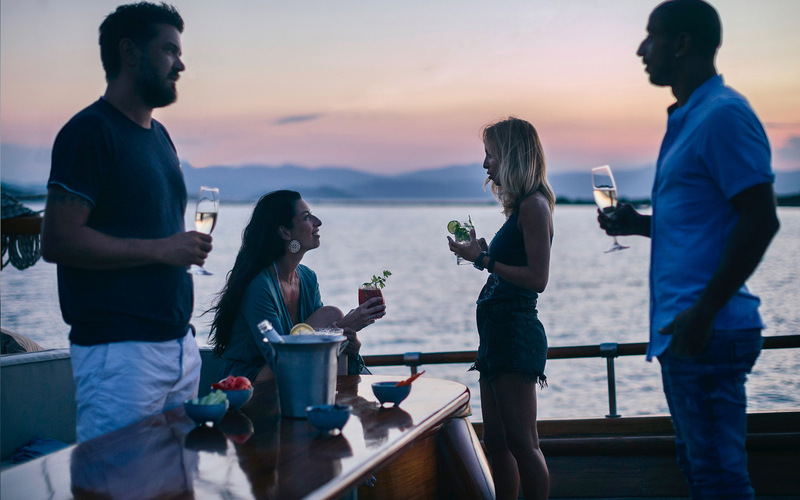 Refitted in 2018 and measuring 31,8m (104’4’’) she is capable of hosting up to ten charter guests overnight, accommodated in five deluxe cabins. 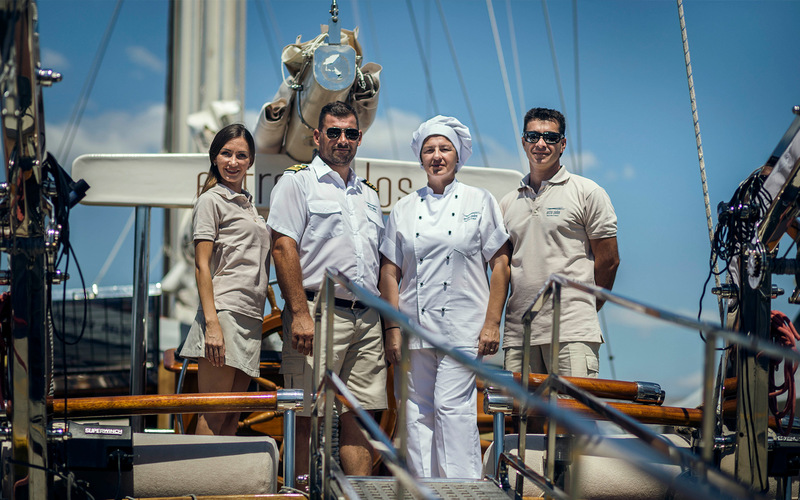 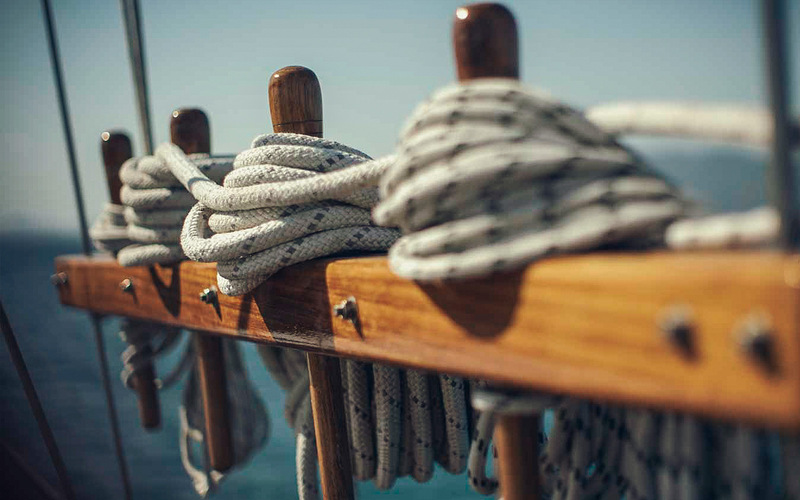 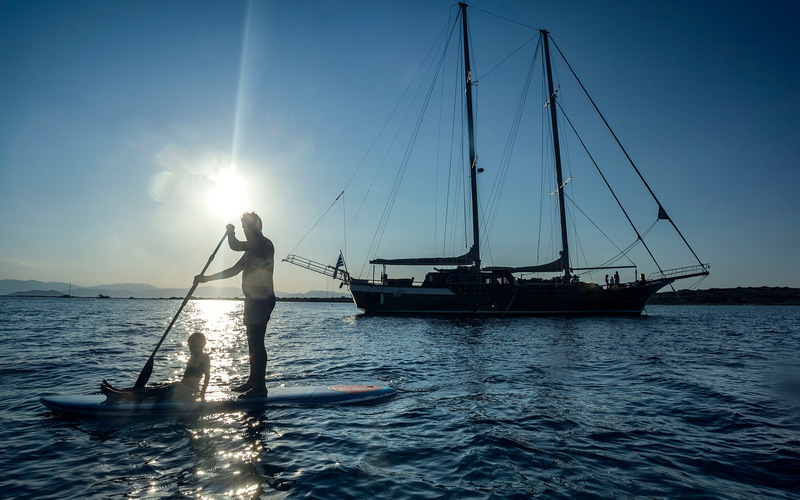 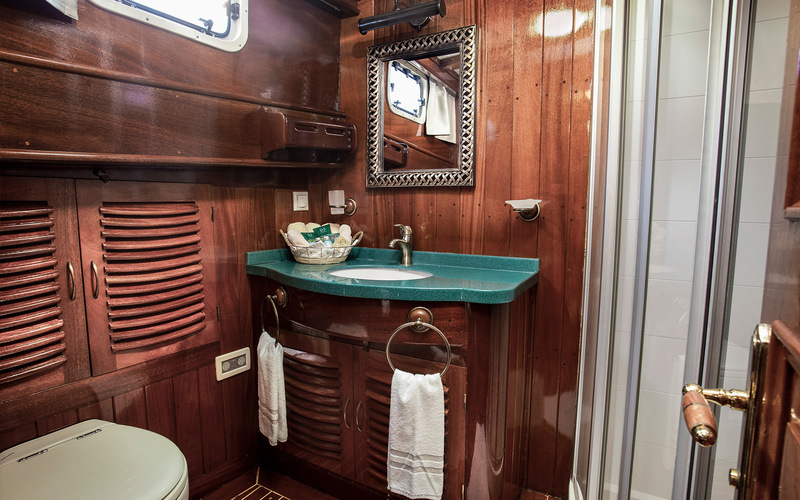 A professional and skilled crew of four ensures a pleasant and relaxing charter vacation. 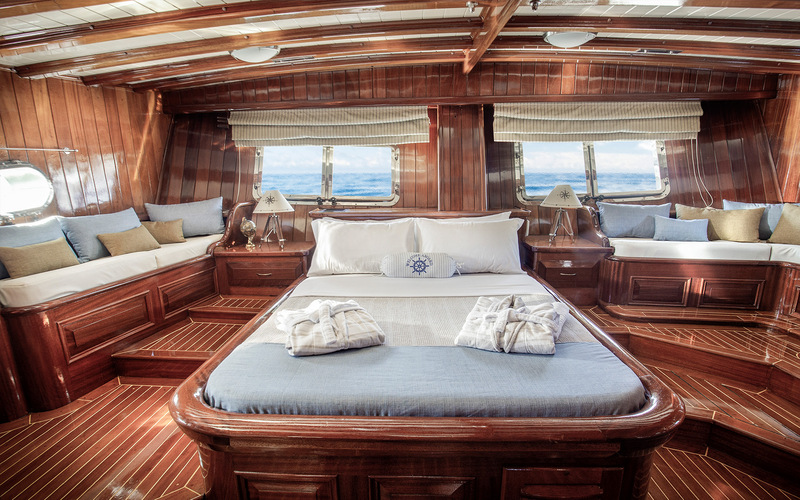 Above deck the stern is lined with a sumptuous sunbed where a group of guests can relax together and take in the views. 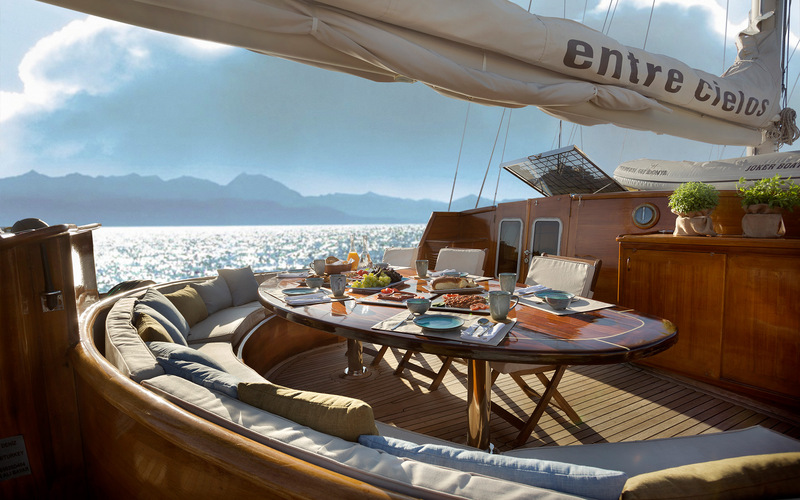 In front is the helm station and forward-facing U-shaped seating with an elevated table for alfresco dining, which a canvas to provide shade for the area. 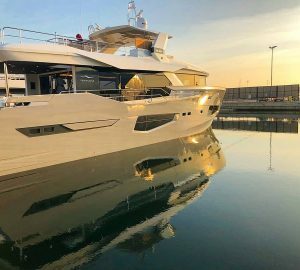 The foredeck is lined with sunpads to offer an additional sunbathing area and there is open space towards the bow that can be used for observation and exercise. 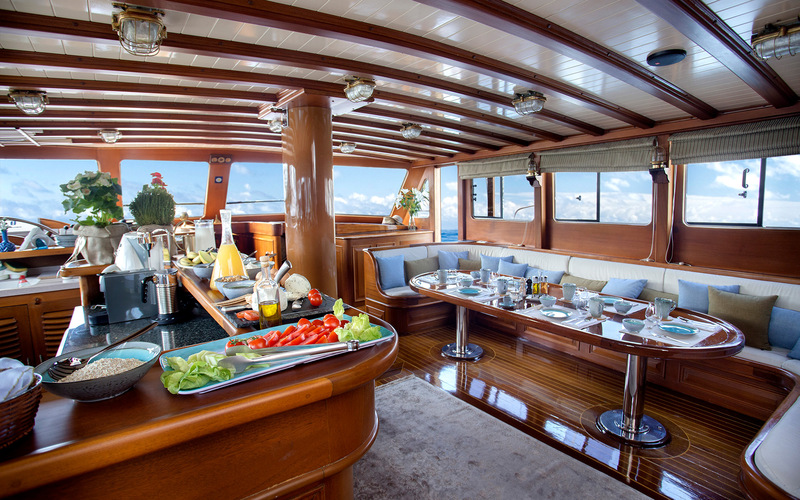 The upper deck has a spacious lounge within which is a curving sofa where the family can dine at the raised table. 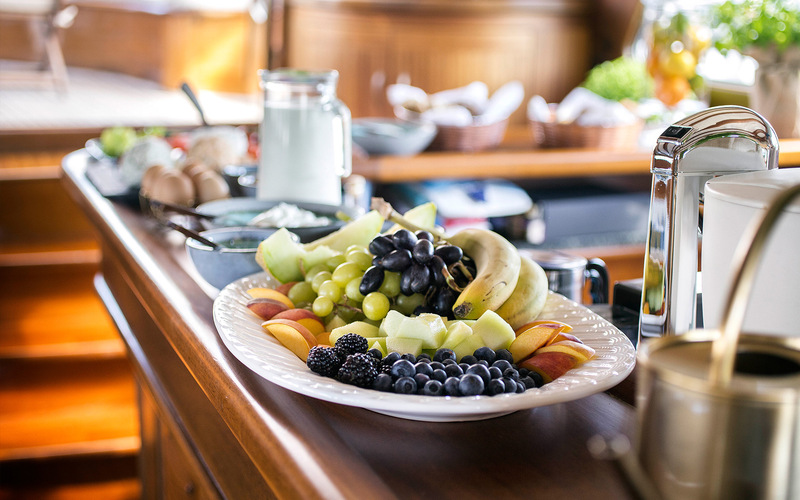 The opposite is the port-side galley/breakfast bar for efficient service throughout the occasion, and the atmospheric interior receives an abundance of natural light from the surrounding windows. 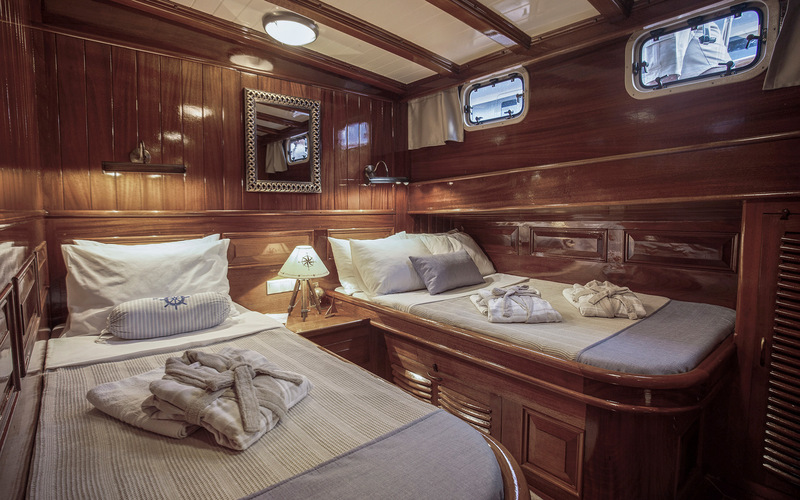 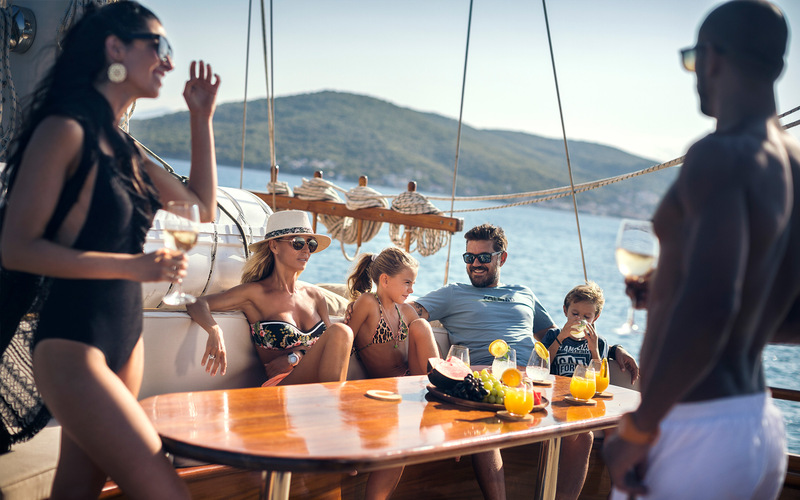 Below deck is the crew and guest accommodation, which have air conditioning and Wi-fi for spending time alone or enjoying a comfortable night's rest. 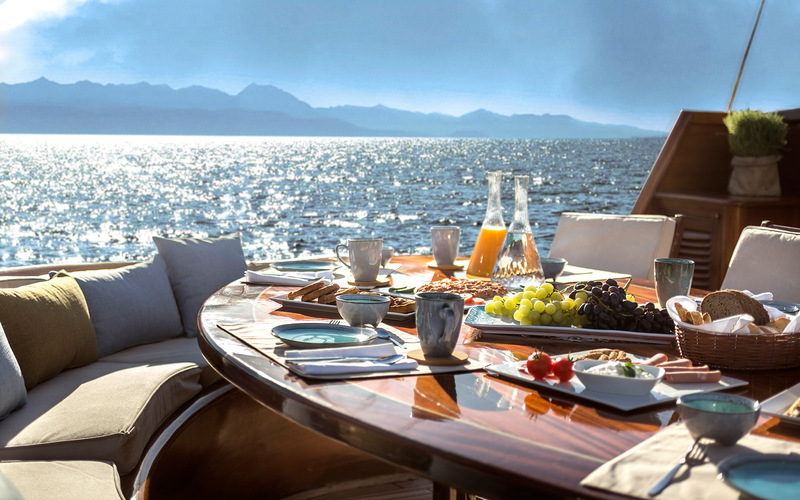 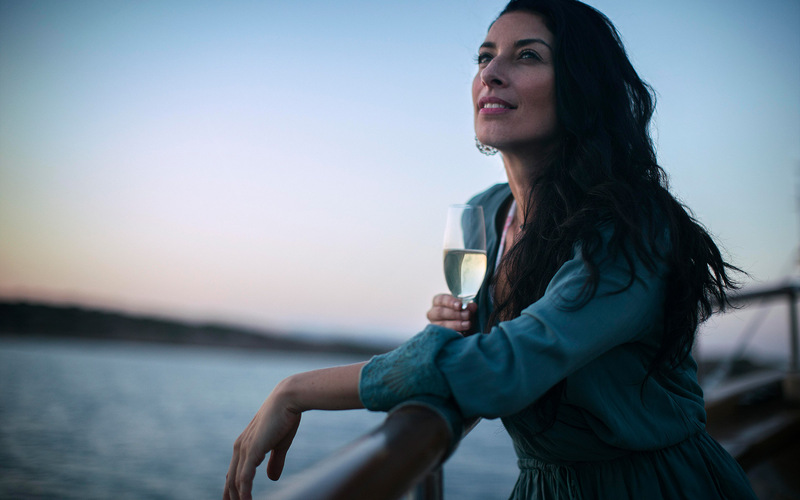 Accommodation on board includes five cabins: the master cabin, one VIP cabin, two double cabins and one twin cabin.